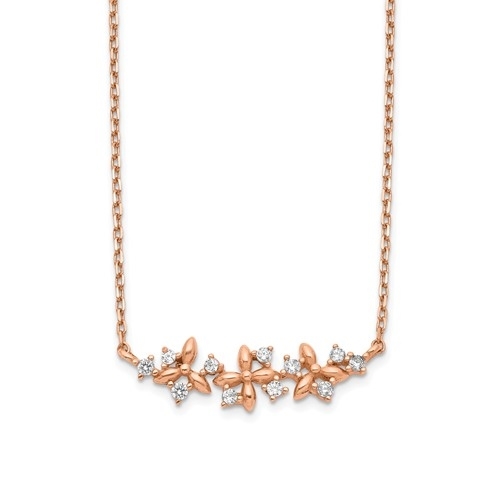 Diamond Essence 14K Rose Gold Necklace with delicate floral design. 1.0 Ct.t.w. Round Brilliant stones set in three prongs setting. Chain length 15" with 1" extension.